If you have been watching me for long enough you know I am obsessed with Essences! They are essential to amazing hydrated, glowing and healthy skin. They can replace your toner, which is what I do. Three of these are new to me and I have been loving them. 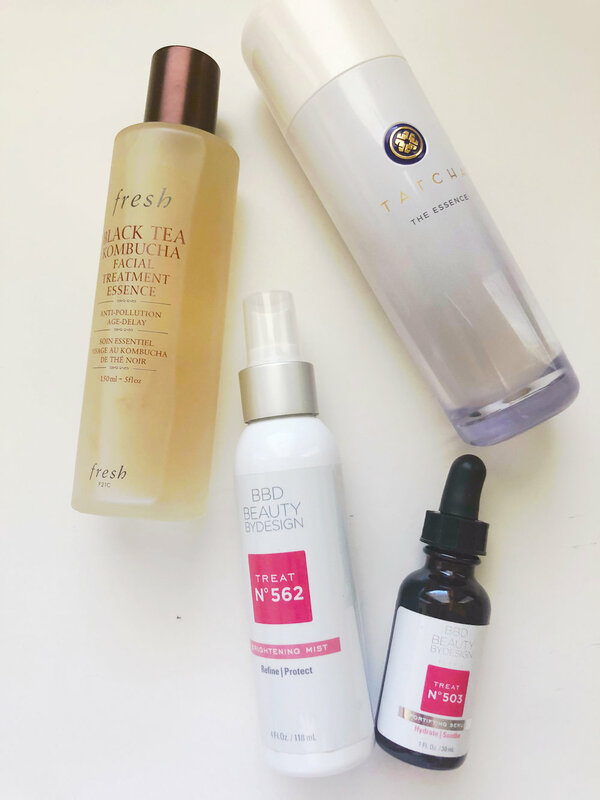 The Tatcha one is my holy grail but wanted to share some new finds. 2: Fresh Black Tea Kombucha Facial Treatment Essence: No Alcohol as well, a little thicker great for more dry and dehydrated skin types. Pack full of antioxidants.